Need a fundraiser for the fall or winter? We have the perfect item. Consider our Christmas fundraising lollipops. Our Christmas Fundraising Lollipops sell for only $.50 each. You get an assortment of 1 oz. 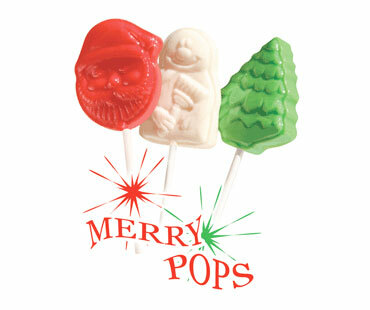 confection lollipops shaped like Snowmen, Santa and Christmas Trees. They virtually sell themselves when people see them. How many fundraising products have you sold that do that? You make 50% profit selling our Christmas Lollipops which sell for just $.50 each. They come in cases of 640 lollipops. Inside the cases are 8 packages each containing 80 lollipops. You can buy as little as one case at a time and shipping is free. Lollipop fundraisers are extremely simple. You will first need to decide how many cases you would like to purchase. If you are giving the lollipops to your members to sell then consider getting 1 case for every 2 or 4 people. Place your order. Lollipops need to be paid for when you place your order. We accept major credit cards, checks, money orders and can even give credit terms to public schools issuing valid purchase orders. You can order your Christmas fundraising lollipops by calling us toll free or you can purchase your candy online in our secure online store.